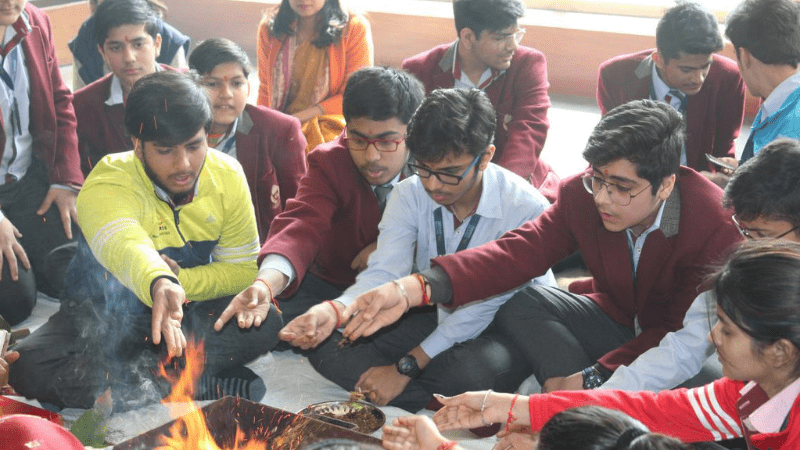 MRIS, Noida organized a Havan ceremony for students of Grade X appearing in Board Exams. Students also sought blessings from revered Principal of the school, Ms. Nindiya Saket; Headmistress, Ms. Priyanka Singh and all the teachers. All the teachers wished them luck for the upcoming board exams.